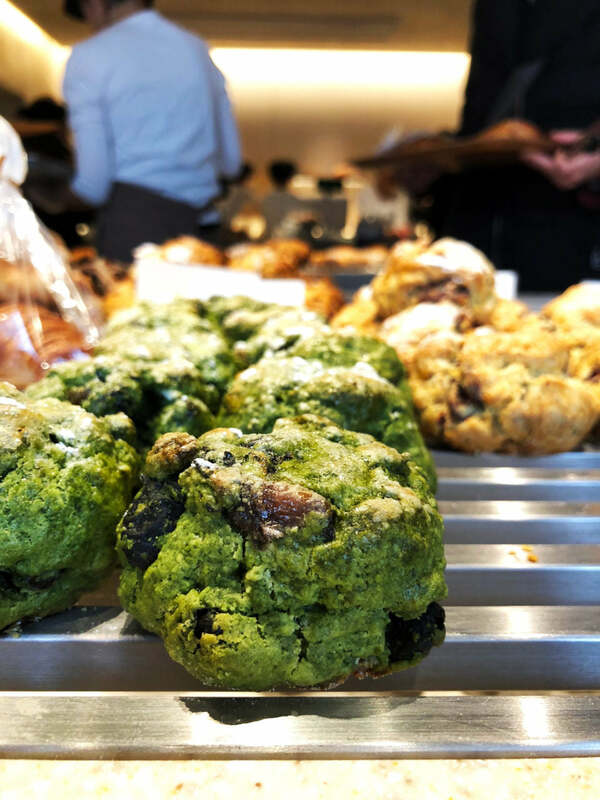 As you may know, we have a pretty fabulous Baked outpost in Tokyo. This means I am lucky enough to go to Japan a few times a year to work with our Tokyo-based team on all sorts of things like new packaging, new recipes, and (maybe) new locations (stay tuned). Of course, the side benefit to this half-way-around-the-world work trip is the food. There is a lot of good eating in Tokyo. While I try to cover as much new ground as possible on each trip, it is a Sisyphean task. There are literally hundreds of new restaurants and cafes opening each month in and around Tokyo as well as thousands upon thousands of long existing restaurants, treats, kiosks and specialty stores. So, while I still have yet to hit up an Owl Cafe (next time), I did unearth a treasure trove of lovely stuff on this trip. I am somewhat perplexed that I had not heard about Cremia on my previous trips to Japan, but I am also somewhat thankful. 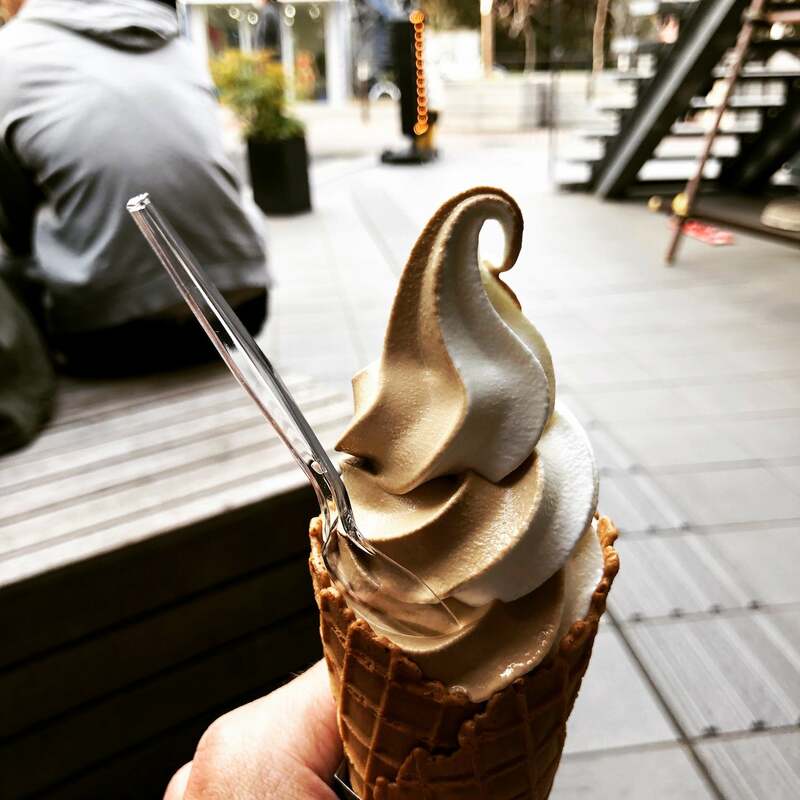 Turns out Cremia, the dreamiest soft-serve you will find, became something of an addiction during this Tokyo jaunt. I had 6 Cremias in 8 days and I only skipped it on the other two days due to sheer willpower and internal guilt. The facts: Cremia (according to the Nissei site) is made up of 25% Hokkaido cream and 12.5% high fat milk. I am not sure how to describe the near ethereal taste other than “pure”. It is the unadulterated taste of fresh-from-the-cow milk that is both unexpected and welcome. Friends have described the taste as both maple-y and/or nutty but I am still in the “taste a lot like raw milk” camp. Other notes: it is not super sweet, it melts super fast (guessing there are not a lot of stabilizers) and it is served on the most lovely thin (SUPER THIN) cookie-like cone. It is also not exactly hard to find, yet it is also not super easy. It is the Where’s Waldo of the ice cream world, because it is usually right in front of you but it does not jump out. You will find bizarre storefronts that sell it (a dingy casino next to the Park Hyatt, a government (?) agriculture store in Shinkjuku, and of course “Cremia central” : Silkream in Shibuya). Whatever you do, seek it out and order one! 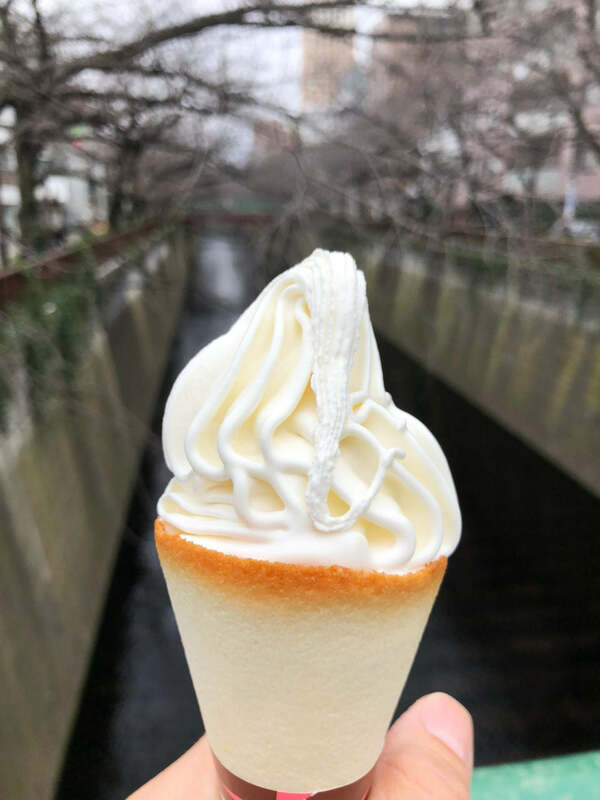 By the way, Cremia or no Cremia, Japan’s soft-serve culture is pretty fantastic…it is everywhere and it is good. Let me start by saying that the Park Hyatt is just breathtaking in every way. Yes, it is quite famous for it’s starring role in Lost in Translation, but it is far more than just a faded movie prop. 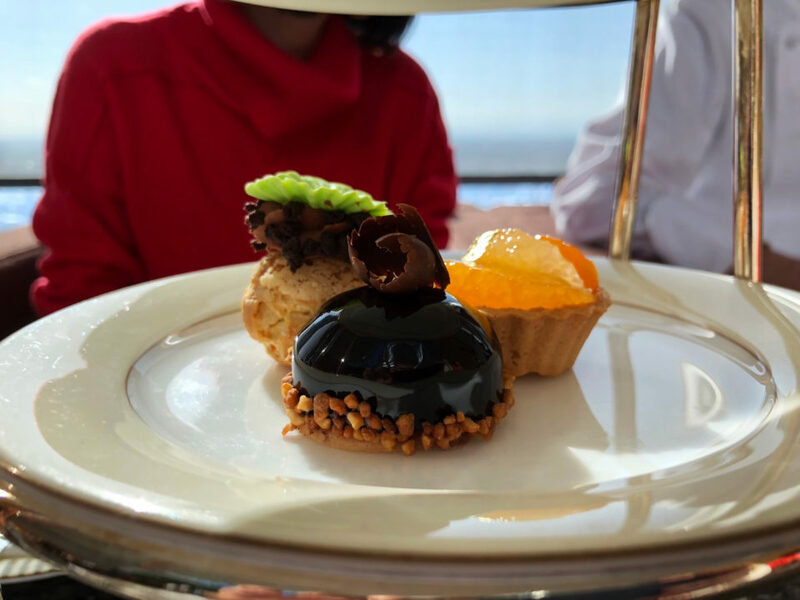 It is lush and serene and dazzling and the best part: you do not need to be a hotel guest to a) take in some of the best views in Tokyo or b) sample some stunning pastry provided by their newest pastry chef, James Holehouse. 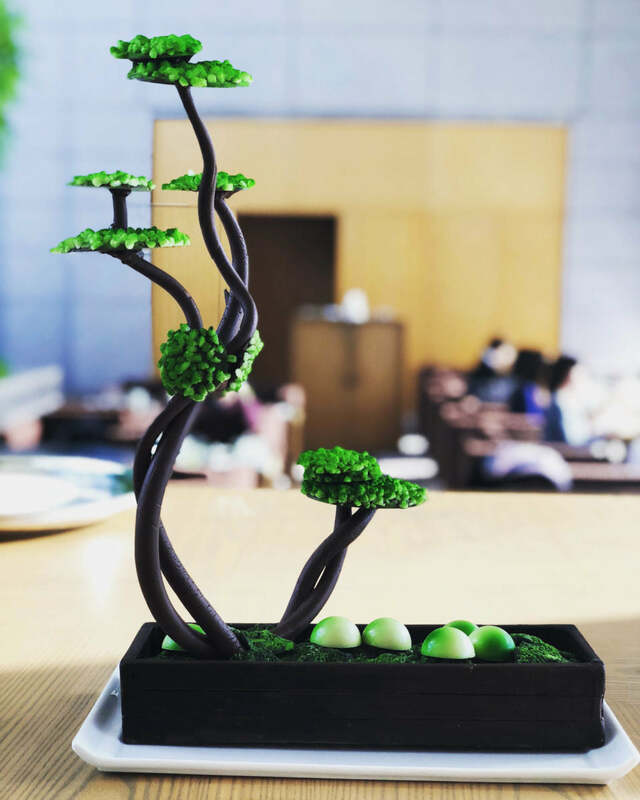 James, while fairly new to Tokyo, is already incorporating several of Japan’s local fruits and flavors into the hotel desserts (as well as creating eye catching edible sculptures). With mango season around the corner, be on the lookout for his take on pandan coconut and Miyazaki mango tart. As well as a mango and coriander seed reglieuse. 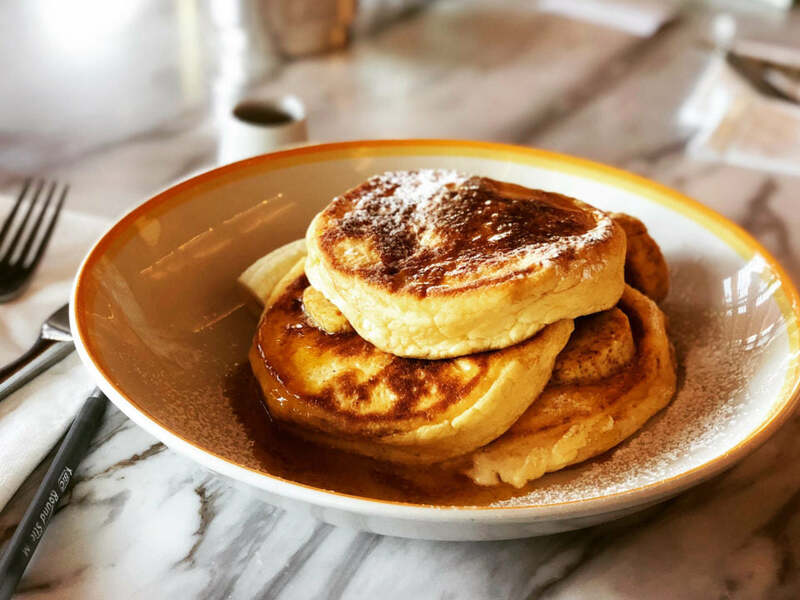 You can sample his wares at some of the Park Hyatt dining venues like Peak Lounge (go for afternoon tea) and keep an eye at the entrance level pastry boutique. It is exquisite. I want to get married at Baguette Rabbit. 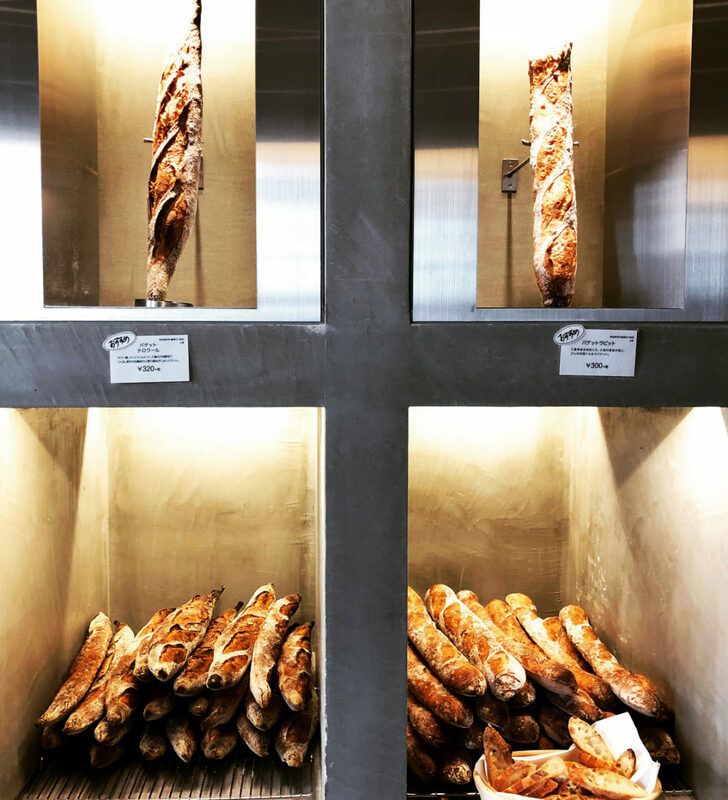 The space is essentially a temple to long fermentations and beautiful baguettes and and I am 100% here for it. This location, their second (the first is in Nagoya), is in the really lovely, quaint area of Jiyugaoka – just a quick metro ride away from the insane population overload of Shinjuku / Shibuya. Obviously, Baguette Rabbit specializes in baguettes. I counted four types (though since all signage is in Japanese I couldn’t quite decipher the exact differences between each type) with what I am guessing is different ratios of flours and (maybe) fermentation times. I tried 3 of them, and they were all exceptional – definitely some of the best I have tasted. 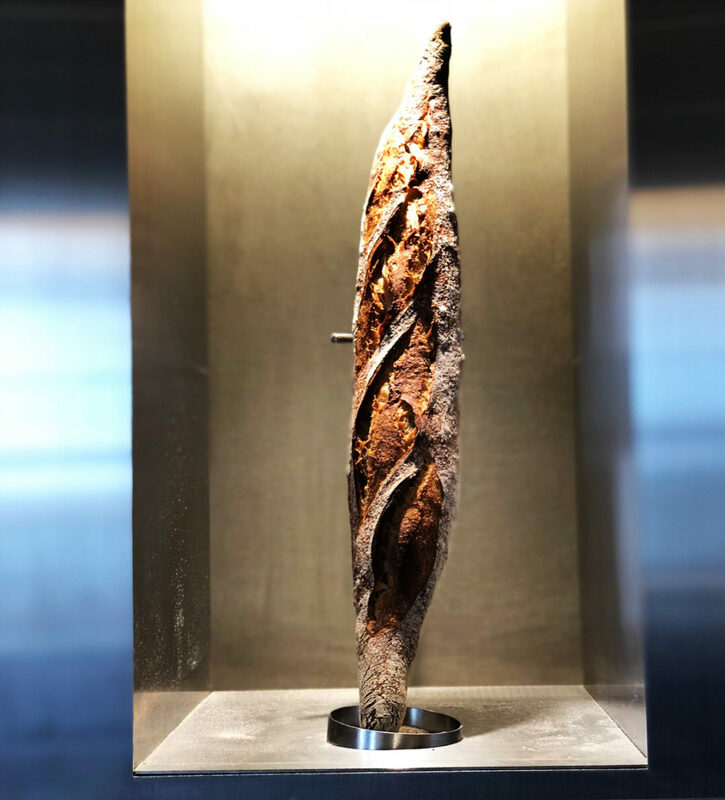 Mirroring the trend in America, Baguette Rabbit also appears to be milling in house, though I am not sure if all or a portion of their Baked goods use 100% bakery milled flours. Oh, and be sure to pick up a few of their scones. I bought a few on a lark, and was blown away by the quality, taste and texture. 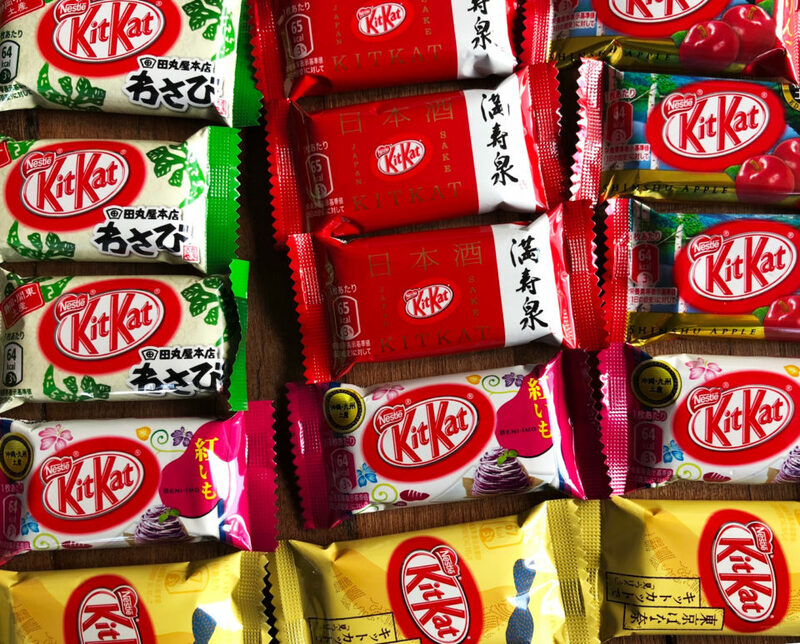 There has been much written about Japan’s famous and, often wacky, Kit Kat flavors. There are many wondrous combination (Banana Kit Kat was my fave from this trip) and many that seem like more of a marketing stunt (Wasabi Kit Kat anyone? ), but overall the Kit Kat phenom is fun and cheeky and they make excellent gifts. You can grab basket loads of various flavors on your way out of the country at either of the airports (Narita or Haneda) or if you are looking for an elevated Kit Kat experience (think fancier chocolate, etc…) you can check out their standalone store in Ginza or their kiosk at Takashimaya in Shinjuku. The pizza at Seirinkan is getting lots of praise near and far and was recently featured on the new David Chang/Netflix series, Ugly Eats. I love pizza, so I had to check it out. Points to Seirinkan for only listing two types of pies – marinara and margherita, both of which were delicious. The space is great (the chef is a Beatles fan and it shows), the vibe is perfect, and if you are ever in need of a pizza fix in Tokyo you should make a reservation. One of the happiest surprises on this trip was our last minute decision to stop at Oroji (Shinjuku) at the end of a longish day. 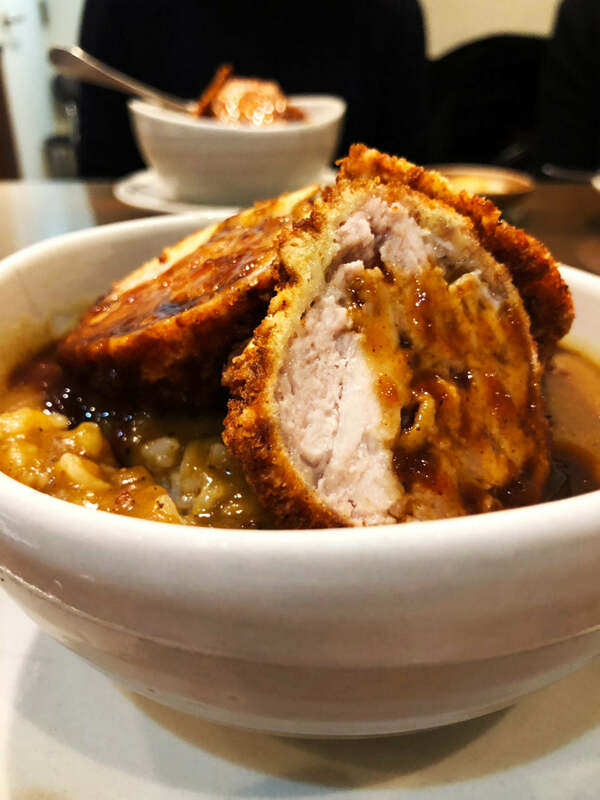 I am a fan of tonkatsu, but the version at Oroji is bliss because it is drenched in a brown curry (er…gravy) and served over rice. The place is no-frills, but it is serving real deal comfort food in the shadows of Shinjuku’s skyscrapers. Finally, I always seem to hit up a Bills while in Tokyo (and, usually, on my last day so maybe I am a creature of habit). The service is always pleasant, the spaces are always more than lovely, and the food is always spot on. But honestly, just get the pancakes. You won’t be disappointed. 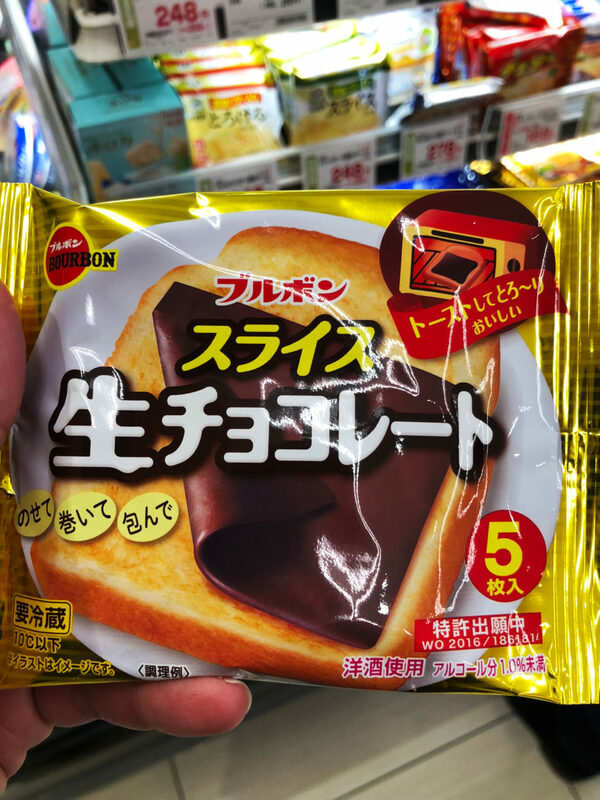 Oh, and if you happen to find yourself in a Japanese grocery store, be sure to check out these lunatic packaged chocolate slices (think American/Kraft cheese singles but in chocolate form). I am not sure if it is brilliant or terrifying.